We visited Virginia Beach Fishing Pier in the evening. If we had known that there were rides and other things to do there, we would have probably came much earlier, but alas we were there too late for that. 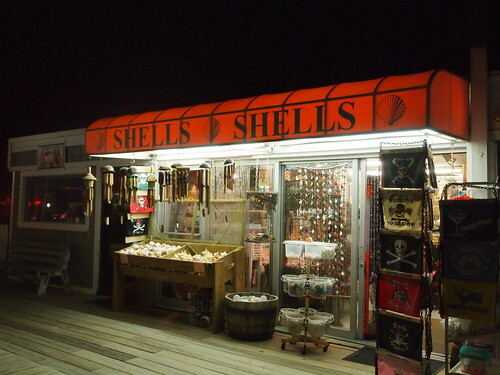 We did find a couple of gift shops that had a variety of different gifts, homemade fudge, t-shirts, shells, hermit crabs, rocks and more. 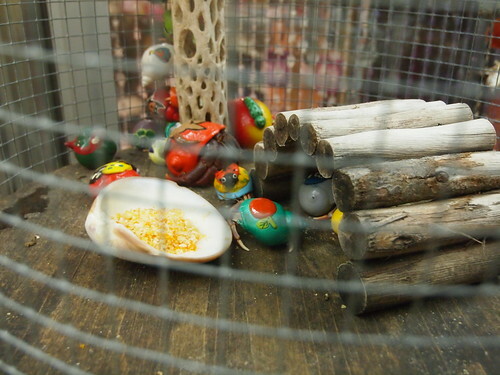 We really enjoyed ourselves looking around the gift shops and the people there were very friendly. 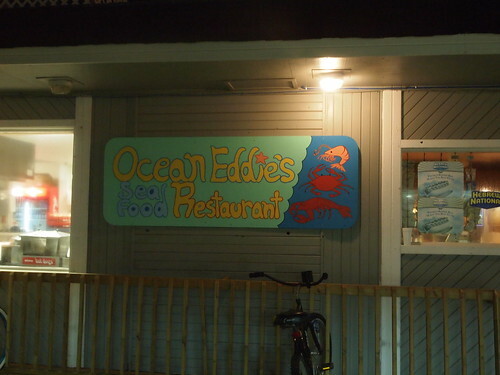 There is also a restaurant on the pier, but they were closing just as we got there. Fishing is allowed off of the pier and you don’t need a fishing license. However, you do have to pay to go past the area with the gift shops. Because it was dark, we opted not to. It looked like there were several people night fishing there though. If you like to fish, there’s a small tackle shop there as well and I believe that you can also rent fishing poles and buy bait there as well. You do have to pay for parking, which was $5, but at least you can park there and walk around to other parts of the oceanfront from here. I definitely would recommend going during the day so that you can actually see the ocean from the pier and have a bit more of an enjoyable time. Saying that, if you want to just shop a bit, the gift shops are open pretty late. 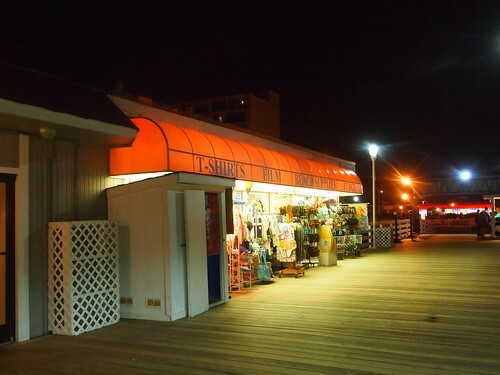 The Virginia Beach Fishing Pier is located at 15th & Oceanfront. 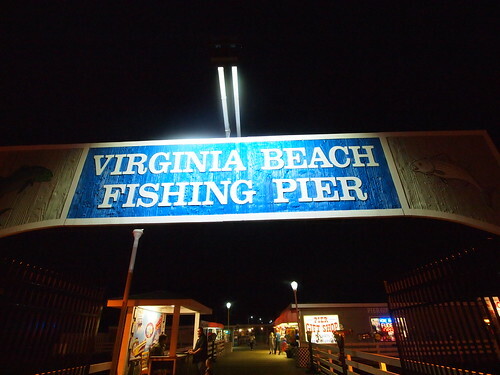 Visit http://www.daybreakfishing.com/virginia-beach-pier.html for more information on the fishing and what you can catch there.